1. 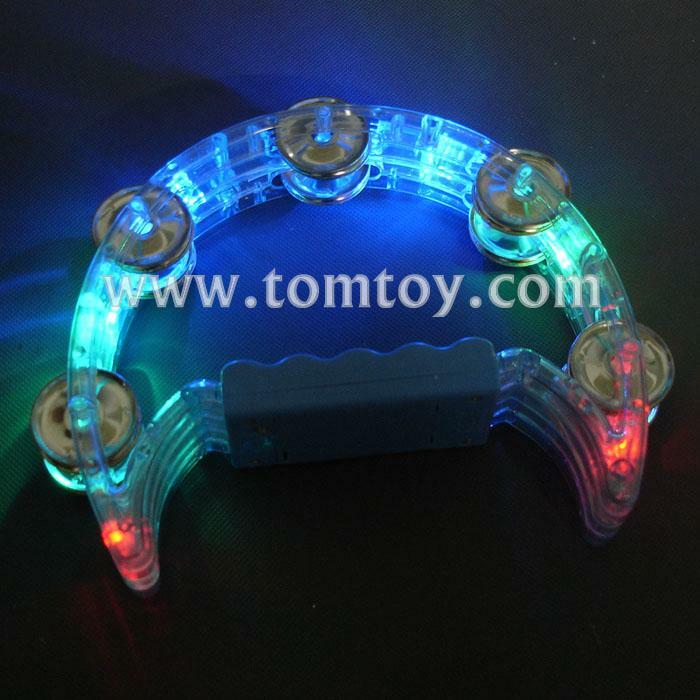 D shape LED Flashing Tambourine are great for parades, team spirit events, and parties. 2. Light up tambourines feature several bright multicolor LEDs with 3 flash mode. 3. Easy to use, press the button on the bottom.